"It was... an enormous help to know that I looked the part... Then the rest wasn't so tough anymore. Givenchy's lovely simple clothes [gave me] the feeling of being whoever I played," Hepburn said of their partnership. The friendship between Givenchy and Hepburn endured for 40 years, and helped cement his place in fashion - and cinema - history. She became his muse, and he designed her suits and woollen dresses for the musical Funny Face in 1957, and the light-hearted heist caper How to Steal a Million in 1966. Givenchy came from an aristocratic background, and worked alongside the then unknown Pierre Balmain and Christian Dior after World War Two. He was employed by the avant-garde designer Elsa Schiaparelli before leaving to found his own fashion house in 1952. There he introduced the concept of "separates" - blouse, skirt, jacket and trouser combinations that could be mixed and matched. Fame came in the 1950s, and for three decades, he dressed some of the most beautiful women in the world. He's credited with introducing the notion of separates to give women greater freedom to choose, and with being one of the first clothes designers to create his own perfume. In 1988, he sold his fashion house to the luxury brand LVMH, and a few years later he retired to a life of comfortable discretion. He came from a world of fashion which he acknowledged has now all but disappeared - an age of elegance, where clothes were created out of a unique personal relationship between client and couturier. The designer, who stood at a towering 1.98m (6ft 6in), won instant acclaim for his first collection at the age of 24. "These dresses remind you of that first, best, glass of champagne," one admiring British fashion writer declared. Givenchy swiftly ventured into menswear, and moved to New York to consolidate his success. There, his celebrity customers included US First Lady Jacqueline Kennedy, who wore one of his designs to President John F Kennedy's funeral in 1963. Screen legend Grace Kelly, who would become princess of Monaco, was another famous client. In 1970, Givenchy branched out into furnishing fabrics, and designed interiors for hotels and even a Ford Continental car. A series of world-famous designers have held the creative reins at the fashion house since its founder retired in 1995. They included talented mavericks John Galliano and Alexander McQueen, and - from 2005 - Italian designer Riccardo Tisci, who introduced a more subversive aesthetic. In March 2017, Clare Waight Keller became the first woman to be named the brand's artistic director. Givenchy remains a popular choice for actors seeking awards season glamour - including Wonder Woman star Gal Gadot, who chose a gown from the label's Haute Couture collection for the 2018 Oscars. 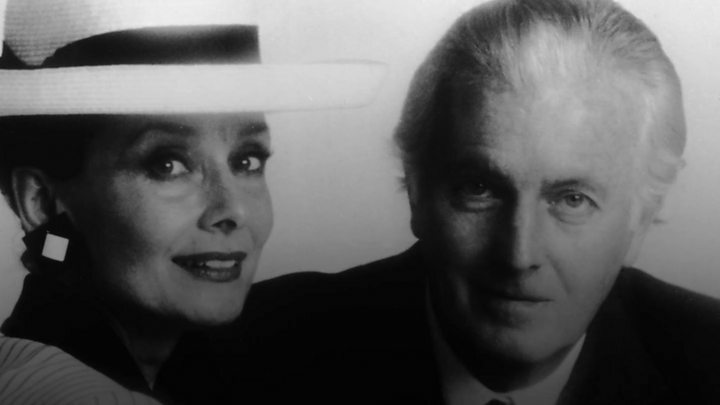 "Hubert de Givenchy was a symbol of Parisian elegance for more than half a century," his label said on Monday. French business magnate Bernard Arnault, head of the luxury goods company LVMH which now owns Givenchy, called the designer "one of the creators who put Paris at the summit of world fashion in the 1950s". The designer had asked that his friends and admirers make a donation to the children's charity Unicef in his memory, instead of sending flowers.